Portable generators are useful for when temporary or remote power is needed. Knowing when to ground a generator is critical for operator safety. OSHA guidelines can keep you safe and help you avoid any electrical violations. The principal function of the system ground, or grounding electrode, (ground rod), is lightning protection for equipment (NEC Article 250.4). Adding a ground rod to a portable generator introduces a shock hazard as can be seen in the illustration. The generator supplies only equipment mounted on the generator and/or cord and plug-connected equipment through receptacles mounted on the generator, § 1926.404(f)(3)(i)(A). The noncurrent-carrying metal parts of equipment (such as the fuel tank, the internal combustion engine, and the generator’s housing) are bonded to the generator frame, and the equipment grounding conductor terminals (of the power receptacles that are a part of [mounted on] the generator) are bonded to the generator frame, § 1926.404(f)(3)(i)(B). Thus, rather than connect to a grounding electrode system, such as a driven ground rod, the generator’s frame replaces the grounding electrode. If these conditions do not exist, then a grounding electrode, such as a ground rod, is required. If the portable generator is providing electric power to a structure by connection via a transfer switch to a structure (home, office, shop, trailer, or similar), it must be connected to a grounding electrode system, such as a driven ground rod. The transfer switch must be approved for the use and installed in accordance with the manufacturer’s installation instructions by a qualified electrician. Grounding requirements for generators connected via transfer switches are covered by Article 250 of the National Electrical Code (NEC). 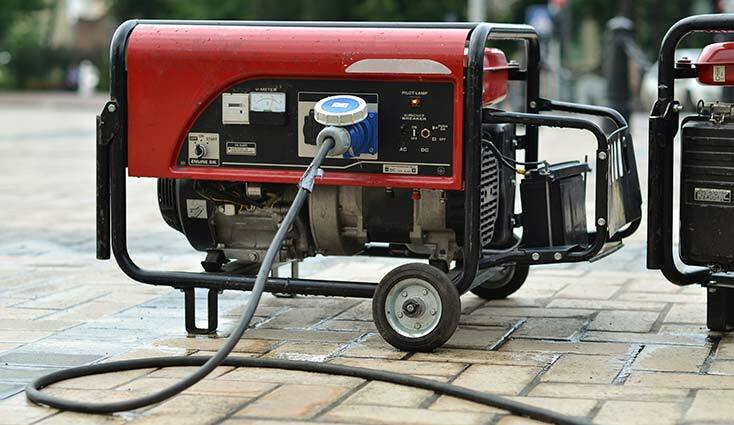 Portable generators require safe work practices, and often these are overlooked went brought to the site. Here is a checklist to keep you safe. • Maintain and operate portable generators by following the manufacturer’s use and safety instructions. • Never attach a portable generator directly to the electrical system of a structure (home, office or trailer) unless the generator has a properly installed open-transition transfer switch. • Always plug electrical appliances and tools directly into the generator, using the appliance manufacturer’s supplied cords. • Use heavy-duty extension cords that contain a grounding conductor (3-wire flexible cord and 3-pronged cord connectors). 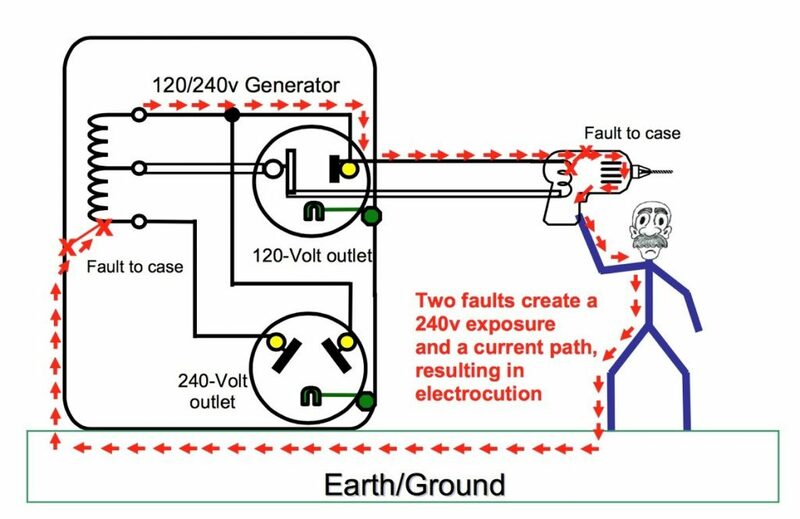 • Use ground-fault circuit interrupters (GFCIs) as per the manufacturer’s instructions. • Do not connect a generator to a structure unless the generator has a correctly installed transfer switch. • Visually inspect the equipment before use; remove defective equipment from service; mark or tag it as unsafe for use. • All generators should be checked yearly for the integrity of the connection between the generator’s frame, and the equipment grounding terminals of power receptacles are essential to the safe use of the equipment. The connection may be confirmed via testing by a competent electrician with the correct equipment. The ohmic resistance should measure near zero and must not be intermittent, which indicates a loose connection. To learn more, take electrical continuing education online with JADE Learning. 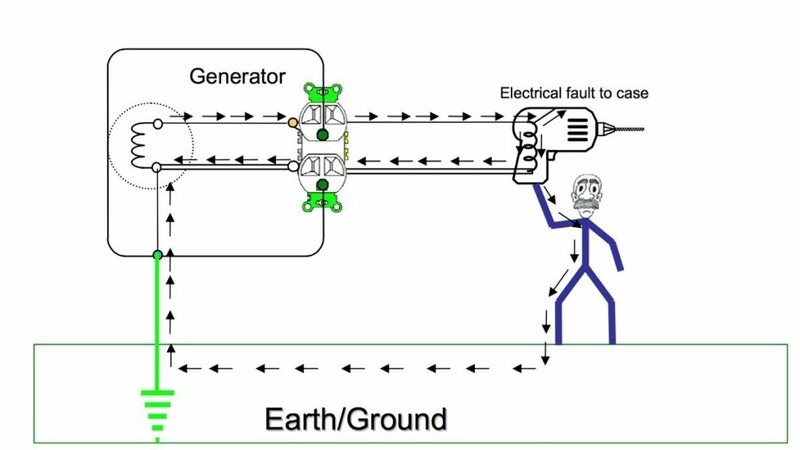 Thanks for the information on the requirements for grounding portable generators, such as how the frame replaces the electrodes and a rod is necessary if the right conditions aren’t met. When purchasing one, it would probably be a good idea to research the requirements that are necessary for the brand and model you have in order to ensure that it can be done properly so you can prevent problems. It might also help to hire a professional that specializes in grounding portable generators so that they can make sure everything is set up correctly and teach you how to do it to ensure you know the right equipment and process. How Do I Renew My Montana Electrical License?